After 8 years, I’m proud to present mulberry to the East Branch Delaware. I hope it remains for decades to come. 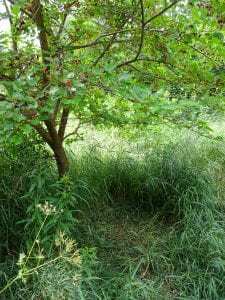 Back in 2010, I planted 2 ‘Northrop’ red mulberry trees near Margaretville. These trees were grown initially in St. Lawrence County, NY & are supposed to be extremely cold-hardy. To be fair, I know of one other mulberry tree (quite large & old too) in the Dry Brook Valley. Besides these 3, I know of none, until one wanders across Highmount & approaches the mid-reaches of the Esopus Creek. In any case, this year was the first time it fruited well. Deer are bedding under it, & I kicked up some turkeys as well as gray squirrels competing for the fruit. Still, there remains plenty of fruit for me. 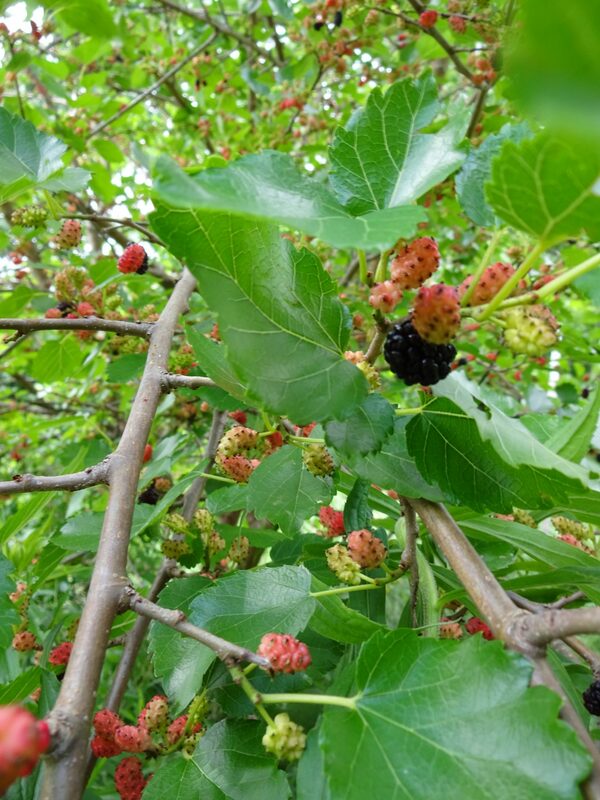 If you want some wildlife or good fruit for yourself, plant the mulberry. It normally has far fewer pest issues than apple.